Oh my god. Since Mad Max: Fury Road was essentially just a linear car chase scene that went in one direction and then turned around and went back in the other direction, can you imagine how perfect a side scrolling video game it would make? Add all the crazy vehicles and the weapons and Furiosa and it would be the perfect video game to play. 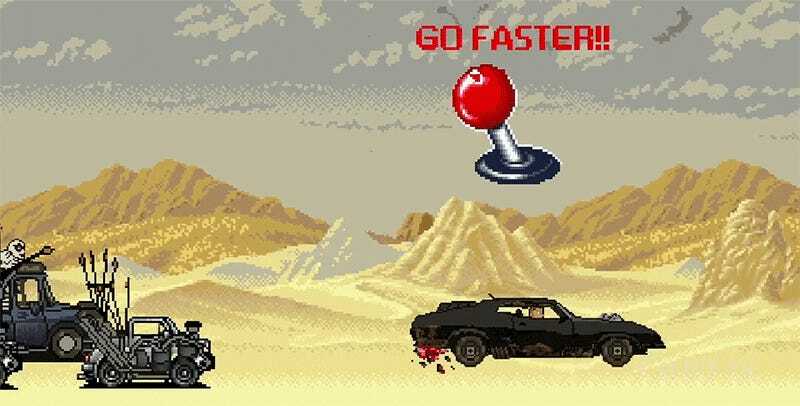 Here’s CineFix’s 8-bit summary of Mad Max: Fury Road.